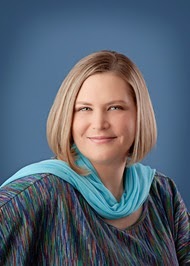 The Best Books Ever: Call Me Grim by Elizabeth Holloway- Blog Tour Review (by Jaime!) and Giveaway! Call Me Grim by Elizabeth Holloway- Blog Tour Review (by Jaime!) and Giveaway! I haven't really read a ton of books about Reapers, but I tend to enjoy the ones that I do read immensely. Call Me Grim is no exception. I truly enjoyed this story, and the lore of the Reapers was original and intriguing. Libbi is an artist who has just won her first blue ribbon in a major art competition. While standing at her painting, admiring the beautiful blue ribbon, she meets this guy who seems a little.... strange. Her mom shows up to see her prize, and to take her and her brother home and Libbi doesn't consider the strange boy much more. Until the next day in class when he shows up outside of her classroom door. It appears that Libbi has a stalker. On the way home from school, she is trying to get away from him when he saves her from being a Libbi-Pancake. From there, things get really, really weird. Her life is about to change, and it will never be the same again. Aaron, the grim reaper and Libbi-Pancake prevention, offers Libbi a job. His job as the local Grim Reaper. She has two days to accept or she dies. On top of that, one of her best friends has been marked. A choice has to be made, and for Libbi there is only one choice she can make. This is a fun, fast-paced story with a great Reaper history, and very cool Reaper abilities. The story is kind of dark, with some pretty emotional and disturbing scenes, but there are definitely some lighthearted, humorous parts, too. Elizabeth Holloway strikes a great balance in the book. Her characters are all well-written with distinct personalities. I enjoyed reading from Libbi's perspective. She has a very tough choice on her hands, and the emotional turmoil she goes through is palpable. She is strong but also human, and makes mistakes. Aaron is a broken boy, with a good heart. He is a great teacher, and very tolerant of Libbi. His story is a rough one, and the pain he has lived with for so long comes across very well. The secondary characters are also very distinct individuals, and they all served a purpose to the story. The romance is NOT INSTA-LOVE! The relationship evolves from mistrusting, almost hating to friendship and to a sweet romance between two characters who learn to lean on and care for one another. The ending of the story was a great set-up for book 2, and I am very much looking forward to getting my hands on. 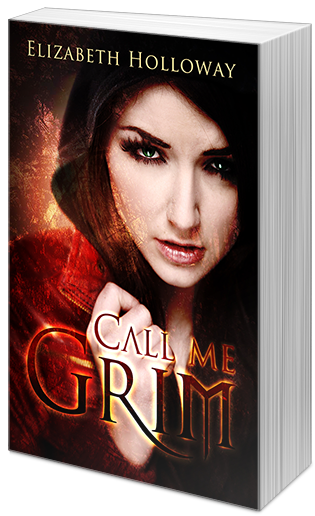 Thank you so much for taking the time to read and review Call Me Grim. I'm so glad you enjoyed it! this looks and sounds awesome!!!! thank you for sharing!